I hadn’t heard of Ronda Rousey until a few months ago, but if you get on YouTube you’ll discover that she’s a top MMA fighter who can demolish her opponents in as quick as 14 seconds. It’s quite fun to watch! (And notice I didn’t say “top female” fighter. She’s a top fighter, period.) I’ve never really cared about MMA, but I do care about Ronda Rousey, and I would definitely watch her future fights. I’ve seen several interviews with her and she comes across as confident without being arrogant, but also funny and grounded. 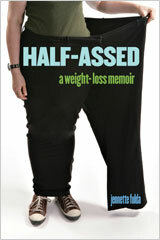 My Fight/Your Fight is an autobiography she recently wrote with her sister who is a sports journalist. 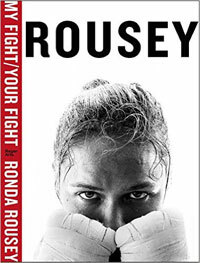 It’s a compelling read, well written and well structured, that follows Ronda’s life from childhood to the top of the UFC. Each chapter is named for a lesson she learned during that particular life experience, all of which led her to become a champion. It’s an interesting look into her winning, determined, mindset, and it would be an inspirational read for anyone struggling to achieve a goal. She’s honest about how much work it takes, but that just makes you appreciate her successes all that more. I don’t think I’ve ever read a sports memoir before, but this one was worth the time, though it took me longer than 14 seconds to read. 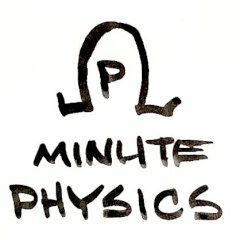 Minute Physics has a sister channel called Minute Earth that focuses on science stories about our planet and answers questions like Why do rivers curve? and Why do we have more boys than girls? UnREAL is a fictional drama that takes place behind the scenes of a reality show that is clearly meant to be The Bachelor. The show was even co-created by a former producer of The Bachelor, so you know some of this stuff has got to be true, if highly exaggerated. The main character is Rachel, a producer who often feels guilty about the horrible, manipulative things she does to make good TV, but is torn by the fact that she’s really great at it, and who doesn’t love being great at something? The show can get pretty dark, but its real trick is that I found myself rooting for several of these characters despite the terrible things they do. The first 10-episode season wrapped up recently and you can watch it online on their web site here. (I’m not sure if that’s true for international visitors or not.) The show airs on the Lifetime network, and between this and those V.C. Andrews movies they’ve made recently, I’m frightened to realize I am probably their target demographic these days. 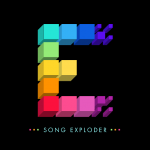 Each episode of Song Exploder explores the process by which a certain song was created. Usually the songwriter is interviewed and quite frequently you’ll here isolated tracks for certain instruments, or demo versions, that help illustrate how the song came together. It’s quite interesting, even more so if you already know the song in question. I discovered it because one episode is about “The Commander Thinks Aloud” by The Long Winters, which is a sad but beautiful song about the Columbia space shuttle disaster. There are more mainstream songs covered too, like the themes to Downton Abbey and Game of Thrones, as well as music by U2, Death Cab for Cutie, and The Postal Service. I’m going to tell my son about Minute Physics. Sounds cool (he’s 8). @Natalie – It’s a great You Tube Channel. I subscribed to it so their latest videos show up in my YouTube feed. UnREAL was SO GOOD! I did not have very high expectations, and I was pleasantly surprised. @Jaime – It will be interesting to see what they do with the second season. Dang I want to try ALL of these! @Shauna – The best thing is they’re all free except for the Rousey book. Hopefully they’ll let you stream UnREAL in Scotland. Hm, I never would have thought to pick up that book, but now I am very intrigued. 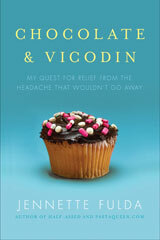 @Joani – I downloaded a sample of the book to my Kindle and liked it well enough to buy the whole thing. It’s got a high rating on both Amazon and GoodReads, which can’t really be faked, so I’m not the only one who enjoyed it.